The summer of 1993 brought joy to the lives of fifteen inner-city kids when the Urban Farm’s two founders, Khadija Haynes and Donna Garnett, started an afterschool program called Embracing Horses, which offered kids a chance to get outdoors, start a hobby and learn to care for animals. Without the program, these urban kids would never have had a chance to get involved in a farming community. In 1998, the farm relocated to Stapleton, a convenient location for urban dwellers to enjoy rural farming life. The growing farm also developed a more ambitious mission—to teach urban families about agriculture and the environment, to give at-risk families an opportunity to develop a positive self-image and to instill a good work ethic in its younger members. At first, keeping the farm going was tough; it had no running water, electricity or buildings. Dedicated riders, families and founders all pulled together in a tight-knit group and made it what it is today: a thriving farm with indoor and outdoor education buildings, riding arenas, a greenhouse, 24 horse pens, a successful 4H club and well-cared for small animals including goats, poultry, pigs and sheep. Today, the farm continues to benefit people with all types of interests. Those who don’t have the time or money to raise a horse can still enjoy riding, classes and horse care. Kids learn about where food comes from other than a grocery store, and exploring the farm teaches the importance of keeping yourself and the environment healthy. The people involved with the farm create long-lasting friendships and skills that will help them both socially and academically throughout their life, as well as pride in individual work. The Urban Farm is located at 10200 Smith Road. It is open weekends to the public for self-guided tours. 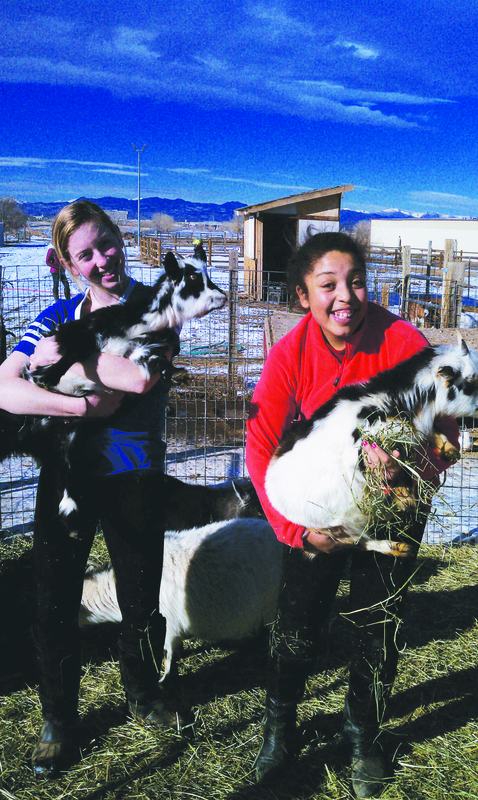 For more information, call 303-307-9332 or visit theurbanfarm.org.